Our Mission - To promote the American musical art form known as “The Blues” by hosting live performances by Blues musicians and providing events to educate the public about the history of Blues music. 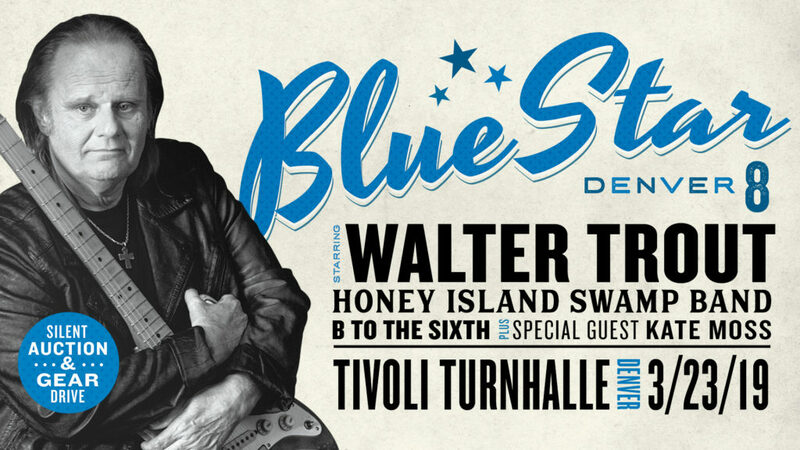 Blue Star Connection is a program that has non-profit status along with the Grand County Blues Society. As a program in its 10th year, Blue Star Connection has supplied over 65 Children’s Hospitals with valuable and plentiful collections of musical instruments for their music therapy departments. BSC has also gifted over 800 individual children personal instruments. We continue to support the music therapy industry with an all-out effort and constant fundraising and to continue the mission. Music Therapy needs an advocate, and we are proud to be considered a front runner. The Grand Country Blues Society was created to enhance the cultural existence of Grand County residents and to be a beacon for our friends and visitors that love escaping to the shadow of the Continental Divide. For more than a decade, the GCBS has produced 16 Blues Festivals and over 300 individual blues concerts, and has continued a Blues In The School effort throughout all of our county schools. We have done all of this with an all-volunteer board, and a very loyal and generous membership. After being named Colorado’s best blues music festival two years in a row by the Colorado Blues Society, Blues from the Top Music Festival doesn’t plan to slow down. This weekend festival has earned the reputation of showcasing some of the best Regional and National talent and is excited to expand audience with its diverse musical scope in 2019. Musical sound includes an exciting mix of Blues, Roots, American Rock, Jam, Soul and traditional blues gospel. Festival grounds are at our traditional location in downtown Winter Park, CO at the Rendezvous Event Center at Hideaway Park. For over 16 years the Grand County Blues Society (GCBS) has been following a mission that was created in the very first meetings. We have not lost our way but rather tried to lead the way. With innovation, tremendous volunteer effort and creativity, we have managed to stay ambitious and dedicated to the love and excitement of live blues. We have produced 15 festivals in Grand County and we have presented well over 200 shows along the way. We simply couldn’t do what we do without the help of our sponsors. Please support these businesses, as they support us. For information on becoming a sponsor, contact us today! Sign up for our newsletter and receive the latest Grand County Blues Society news every month.